An air conditioner is a great luxury to have on hot summer days, but it can also cause you headaches when something goes wrong. Although air conditioner maintenance can help prevent major problems over the life of the unit, AC problems are not entirely unavoidable. That’s why it’s a good idea to learn some basics about how air conditioners work as well as general troubleshooting tips so you can attempt to get your AC back up and running in a pinch. Watch this video to learn more. Although some air conditioner problems are easy enough to troubleshoot on your own, others require professional service. If you’re experiencing any lingering or serious problems with your air conditioner, contact an AC repair company in Murfreesboro to keep your family cool and comfortable. Depending on the age and condition of your air conditioner, it might be in your best interest to purchase a new AC unit rather than have your existing system repaired. A residential HVAC expert can help you compare the cost of buying and installing a new air conditioner compared to repairing an older AC unit. 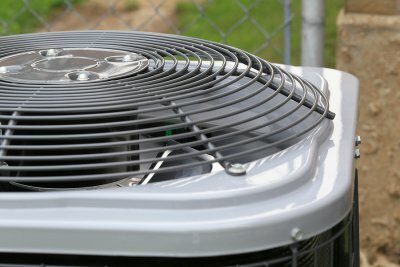 Whether you’re replacing an existing AC unit or choosing an air conditioning system for a new home, a new air conditioner represents one of the most expensive appliance purchases you will make. The good news is that an energy-efficient, properly-sized, and professionally-installed air conditioner will pay for itself over time in energy savings and repair costs. That’s why it’s important that you take your time when shopping for a new AC unit to make sure you choose the best one for your home. To help with your purchase, here are some strategies to keep in mind as you make your way through the process of buying a new air conditioner. With so many different air conditioner brands, models, and features to choose from, starting the process of buying a new AC system with the help of an HVAC installation contractor can greatly benefit you in the long run. For starters, an HVAC installation contractor in Murfreesboro will be able to recommend the most appropriately sized air conditioner for your home. This alone can have a huge impact on your indoor comfort as well as the AC’s operating costs. Choosing the right air conditioner is a whole lot easier when you know how to “speak the language.” For example, “EER” refers to the Energy Efficiency Ratio, which tells you how efficient an air conditioner is. “SEER” is a little different, in that it refers to an air conditioner’s Seasonal Energy Efficiency Ratio, which means how efficient it is at different times of the year. Both can be used to help you select the most efficient air conditioner for your home. Your HVAC installation contractor can provide you with definitions for other important AC terms . In general, higher efficiency air conditioners are more expensive up front than lower efficiency models. However, you should factor in the long-term operating costs to get a true picture of how much a particular air conditioner will cost you over its life. For example, a high-efficiency AC system can pay for itself over time and actually save you money in the long run thanks to energy savings over lower-priced air conditioners. Creating heating and cooling zones is a great way to make your home more comfortable and energy-efficient. Fortunately, an HVAC company specializing in ductwork near Murfreesboro can create them for you in no time. Watch this video clip to learn more about heating and cooling zones. An HVAC repair specialist can create heating and cooling zones by placing an inflatable device inside the ductwork. The device stays deflated until the temperature in a given room has been reached. Then, once the desired temperature is reached, the device inflates to completely block airflow into that room. This allows more air to go into other rooms. During the summertime, many air conditioners in Tennessee are running around the clock to keep indoor spaces cool and comfortable. 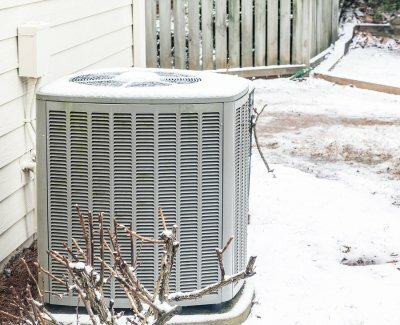 But in the wintertime, these units tend to sit idly and unprotected—which can cause problems that require air conditioner repair near Murfreesboro later on. Fortunately, providing adequate AC maintenance during the winter can help protect your air conditioner. You can learn more about how to prepare your HVAC units for the winter in this article. The air conditioning circuit is located near the unit. It typically has a plastic or metal lid, which covers the electrical circuit. After you locate and open the lid, flip the switch to turn the AC unit off. This keeps the air conditioner from turning on during a warm winter day, which helps keep water out of the unit that could freeze later on. Over time, HVAC units collect debris such as bugs, dirt, dust, bird droppings, leaves, grass clippings, and twigs. Clean the unit thoroughly by washing it with a hose. Be sure to let it dry completely before using the unit. Fit any pipes exposed to the outside air with foam pipe covers. The foam should be cut to fit the exact length and circumference of the pipe. This will help protect the ducts from freezing temperatures. It’s fine to leave the foam covers on the AC pipes year round. Protect the HVAC unit with a waterproof cover made from plastic or vinyl. You can buy any type of covering to fit your unit, or contact an AC service specialist for a cover that is designed specifically for your AC unit. Wrap the cover with vinyl ropes or bungee cords to keep it securely attached. Check the AC unit each week to be sure the cover is still secure. Remove leaves, snow, water, ice, twigs, and other buildup from the cover.